Vietjet air meals are not included in the price of your ticket. 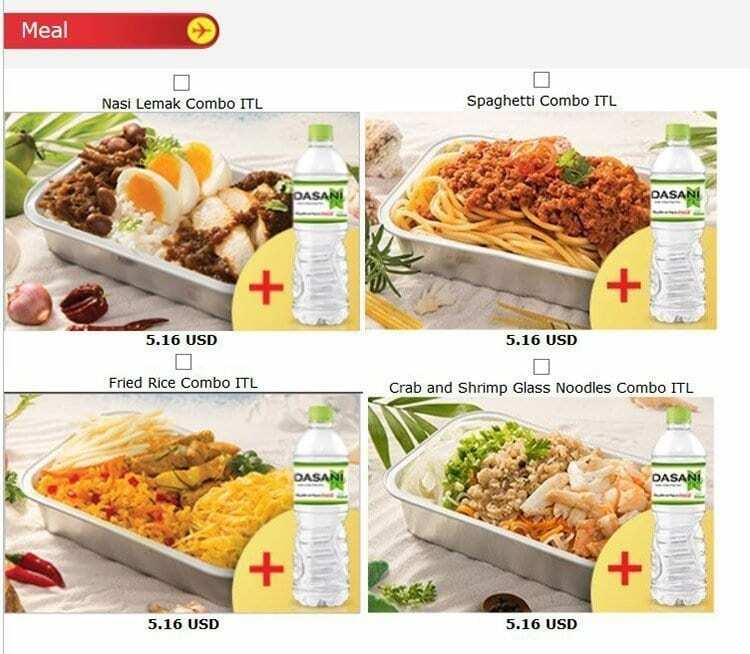 The airline offers an onboard menu for passengers to make purchases from and they also have a hot meal pre-order system available online before your flight. Meals onboard are very inexpensive and start from USD$5.00; you can view the entire inflight onboard menu below. There are nine hot meals which are now available to pre-order and you must pre-order these up to 36 hours before departure. If you don’t pre-order your meal, you may purchase a range of food such as instant foods, snacks, and drinks. Hot meals cannot be ordered on flights with less than one hour flying time. A Sample of some of the inflight meals available online for pre-order below. Meals are very well priced and start from only USD$5.00, check out the options right here. For further information about VietJet Air meals click here. Nik has been running Inflight Feed since 2012, and since then he's taken well over 500 flights for work and pleasure. He documents his inflight meal experiences right here; he's also a freelance writer covering inflight meal trends, he has written for CNN and has regular columns in leading industry magazines. He's been featured in Vogue, QZ, Lifehacker, The New York Times plus many major news outlets across the globe.